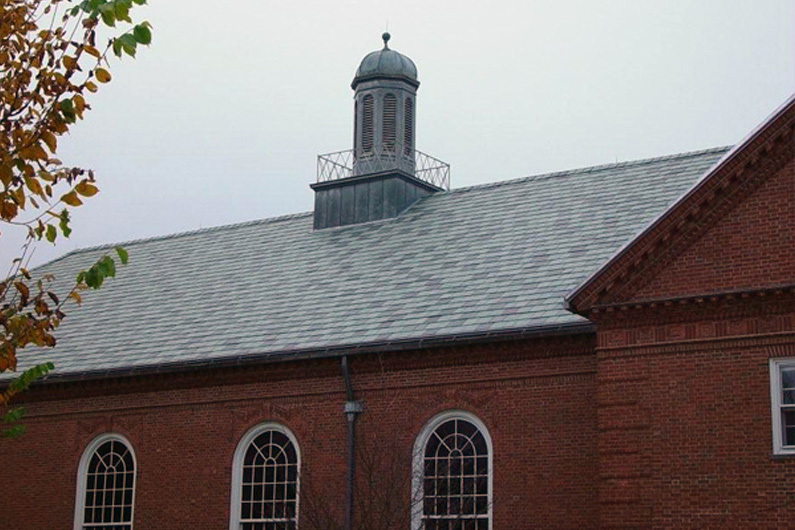 Natural slate from Greenstone Slate was used for this roof replacement at The Hotchkiss School. 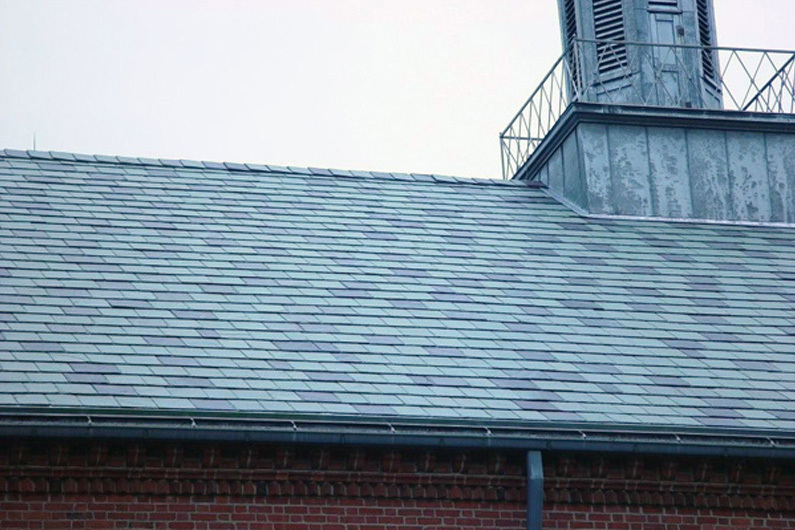 The genuine slate was installed using the Nu-lok lightweight slate installation system. Non-weathering Gray/Green and Mottle Green and Purple slate was used.